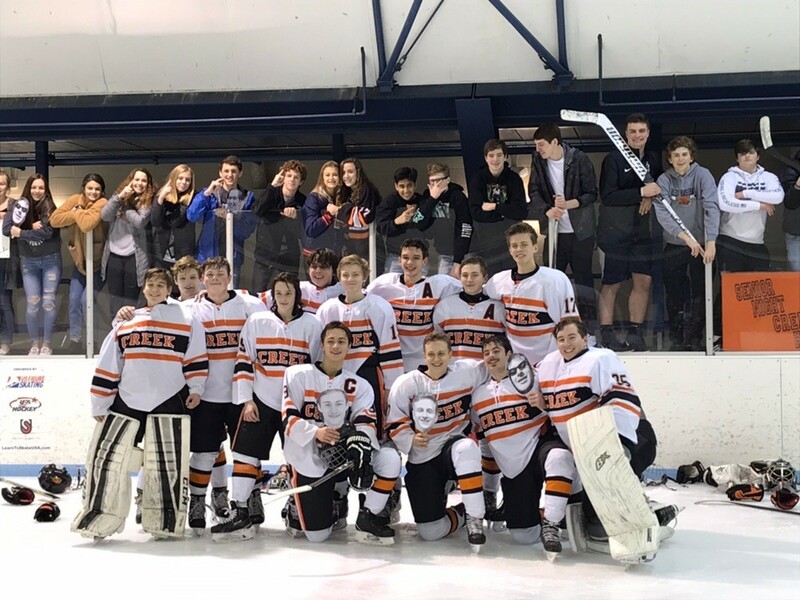 Saturday night was Senior Night for Beavercreek Hockey as the team took on the Mason Comets at the Kettering Rec Center. 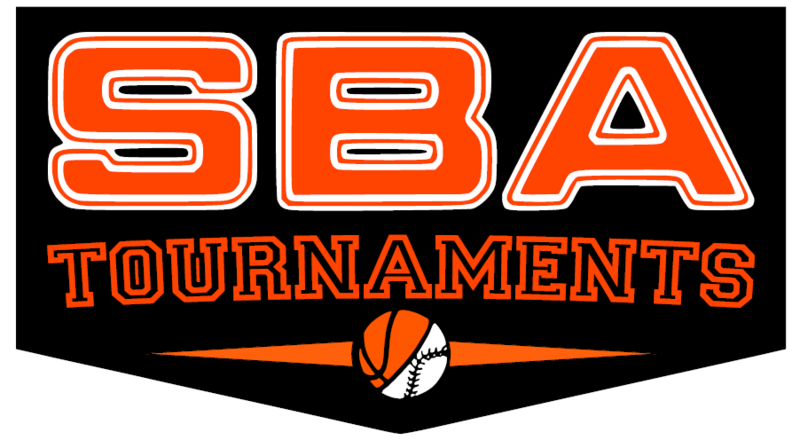 This years seniors include Kevin Bovair, Joey Duford, PJ Kosir, and Max Pezzot, as well as managers Emma Budde, Reagan Johnson, and Mara Williford. 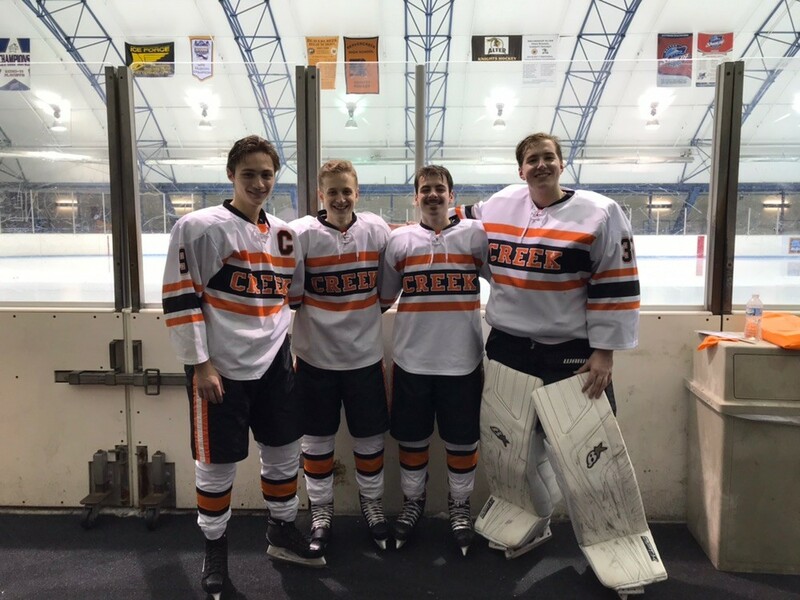 The rink was decorated for the occasion and posters highlighting the student’s years with Creek Hockey were on display. The players and their families were honored before the game to the great delight of the fans. 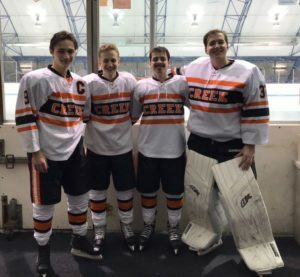 The Beavers put on a clinic when the game commenced and at times it looked like the boys were doing the Creek Hockey version of Sweet Georgia Brown as they passed the puck around and out shot the Comets 40-6. The goals were fast and furious and when the ice shavings settled, Cole Gutterman had 3 goals and one assist, Thomas Bush had 2 goals and 4 assists, Joey Duford had 2 goals, Marshal Enfield had 2 goals, Mason Mikesch had a goal and 2 assists, Joe Bordas had a goal and 2 assists, Nathan Schivelbein had a goal and an assist (welcome back Nate! ), Braden Cox had a goal, PJ Kosir had 5 assists (a new record for assists by a defenseman), Alex Folga had 3 asssits, and Max Pezzot had 2 assists. Kevin Bovair was between the pipes and recorded the shutout. Next up for the Beavers is Fan Appreciation Night on Friday at 10 PM at the Kettering Rec Center where they will face the Elder Panthers. 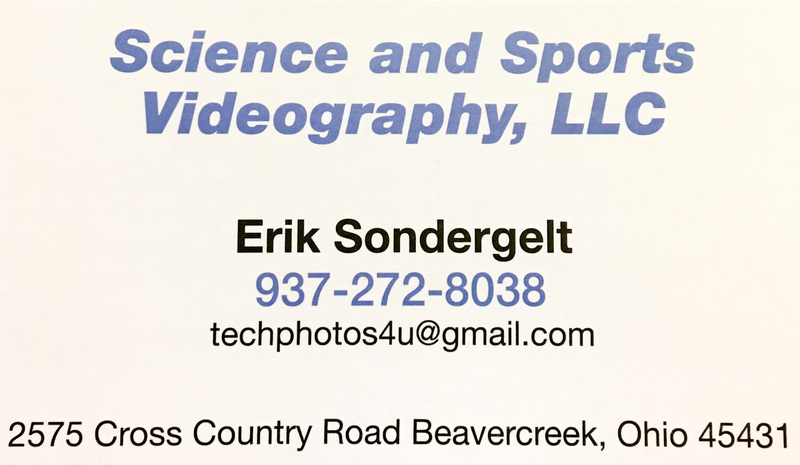 This will be Creek’s last home game of the season so come out and support the team! 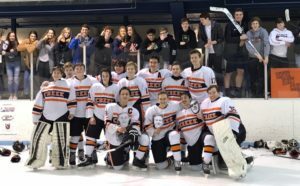 ← Creek Downs Harborcreek 4-2, Takes Third In Ehrnfelt Tourney! !